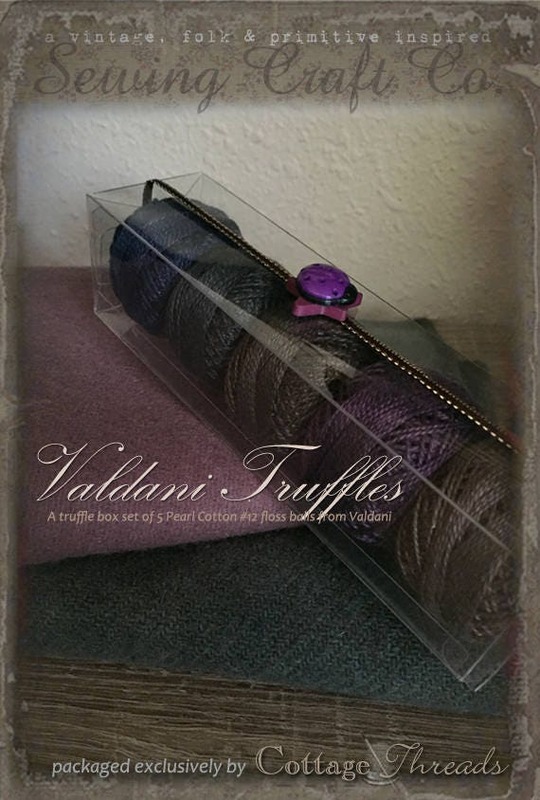 Valdani "Truffles" Floss Gift Set of 5 Embroidery Floss balls, embellished with ribbon and button. Colorfast, hand-dyed floss. Great for wool appliqué and other stitchery projects. Packaged exclusively by Cottage Threads. A perfect gift for that special Stitcher in your life!